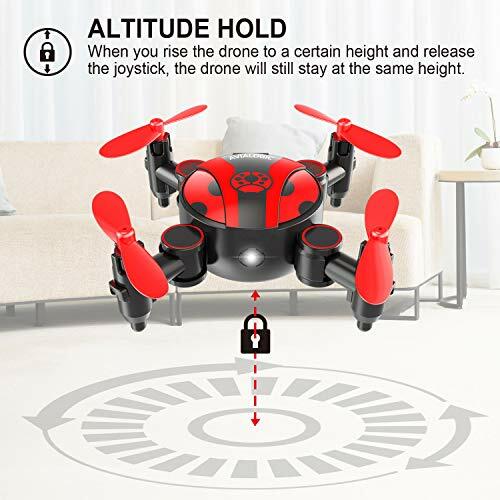 Stable Drone for Beginners: Featuring with Altitude Hold Function. 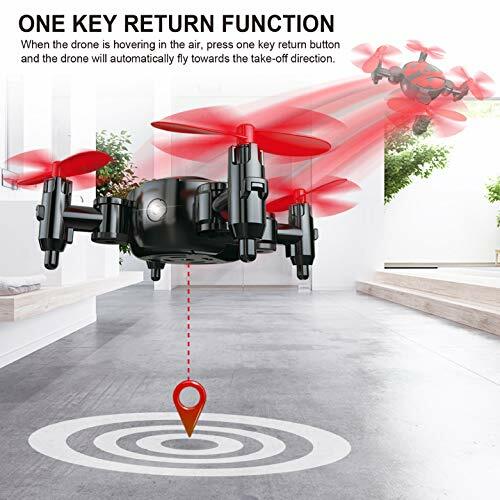 Even if you release the control lever, the drone will still stay at the same height. 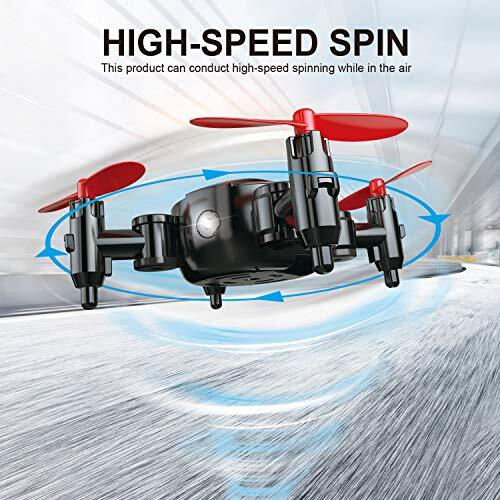 Mode of High /Medium /Low Speed: There are three speed modes (High/Medium/Low) available for this drone. 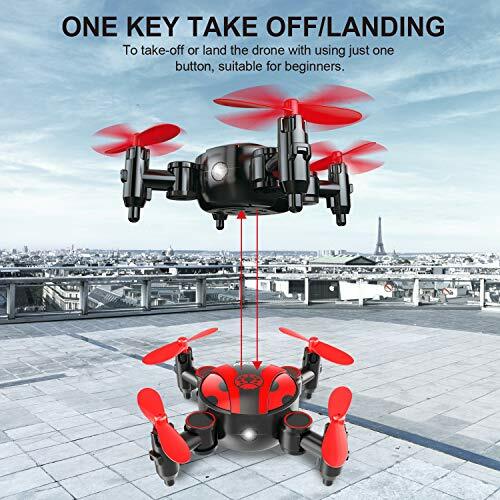 Beginners are recommended to learn to fly under the low speed mode and speed up gradually when getting more familiar. 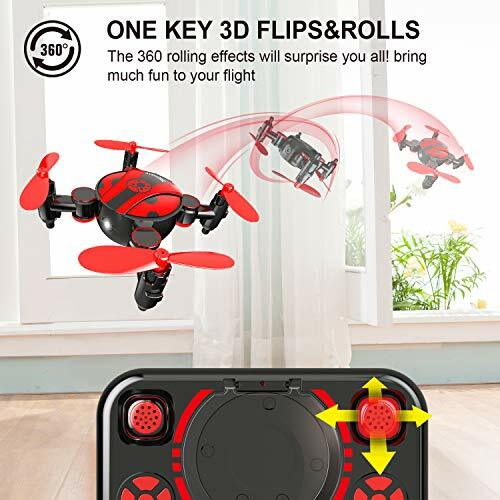 Drone with Different Tricks: Featuring with 360 degree Flip & Roll, High-speed Spin function to entertain your lives.Fun Gift for kids. 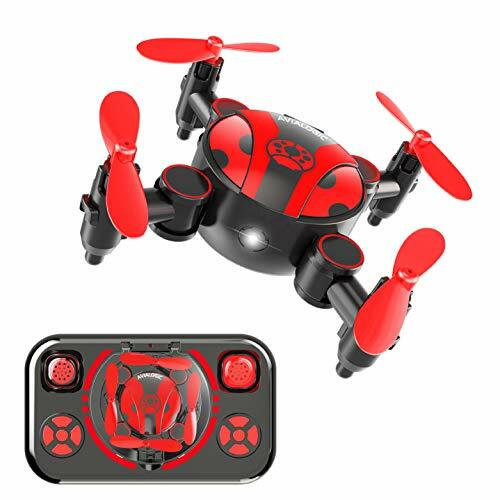 Portability: This is an integrated product that contains the drone and all the accessories within the remote control. 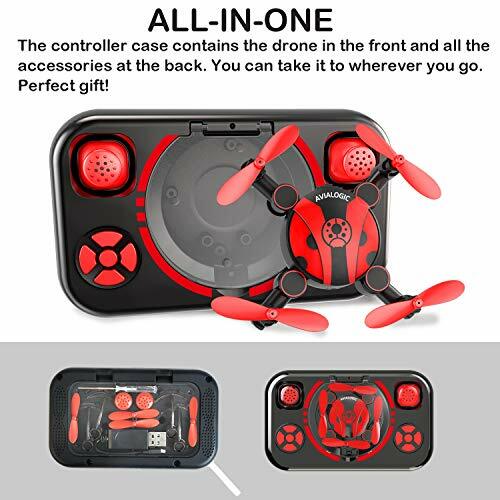 Easy to carry.